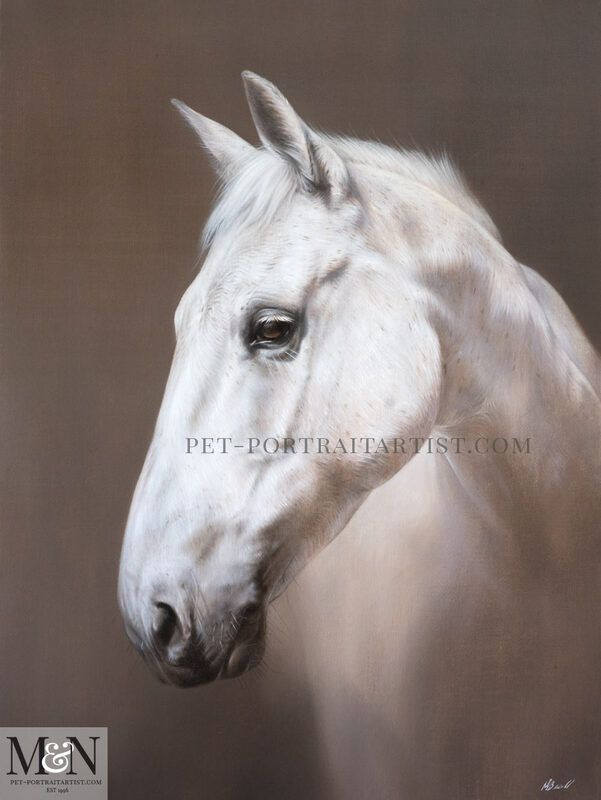 Welcome to our latest horse oil portrait of Elly. Nicholas completed the oil painting for a 50th Birthday surprise. Hannah arranged the oil painting for her boss and their family to give as a gift to Elly’s owner. They had already organised a professional photographer to take photos of Elly, therefore all of which were incredible. They also asked if the portrait could be similar in design to Nicholas’s oil painting of George. Luckily they had a photo of Elly in a very similar position. The photos were absolutely incredible. The oil painting was commissioned at 24 x 18 size on Italian Linen canvas. 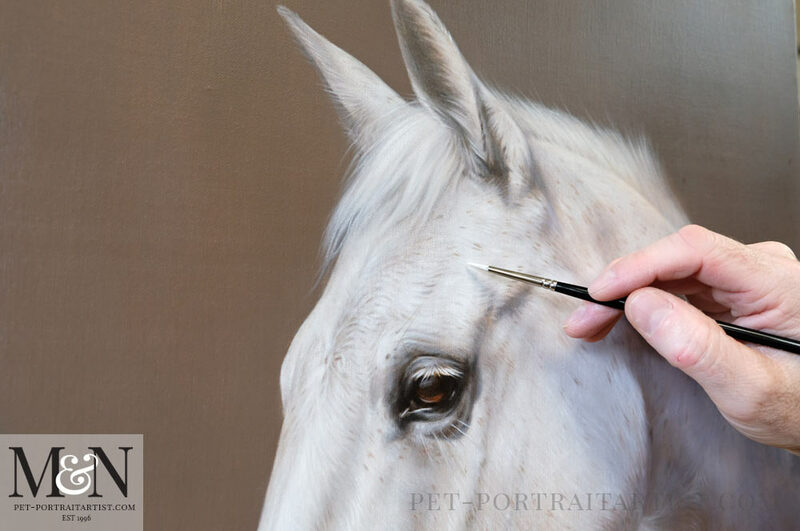 Nicholas thoroughly enjoyed painting Elly, therefore it has to be one of our favourite horse portraits this year. Hannah emailed when she saw the final photo of Elly’s portrait which you can read below. Scroll down to also see some amazing candid photos too. Fantastic! It’s absolutely beautiful, can’t believe how much it looks like her! Her owner is going to love it and I’m so great full you’ve managed to get it done in time for her 50th Birthday! 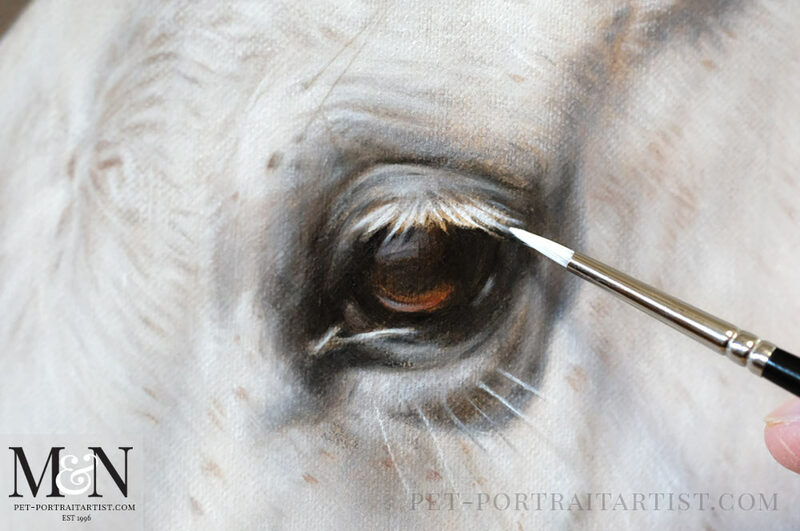 Here are a few photos of the oil painting of Elly. They are candid shots I took with our camera of Nicholas with his paintbrush. 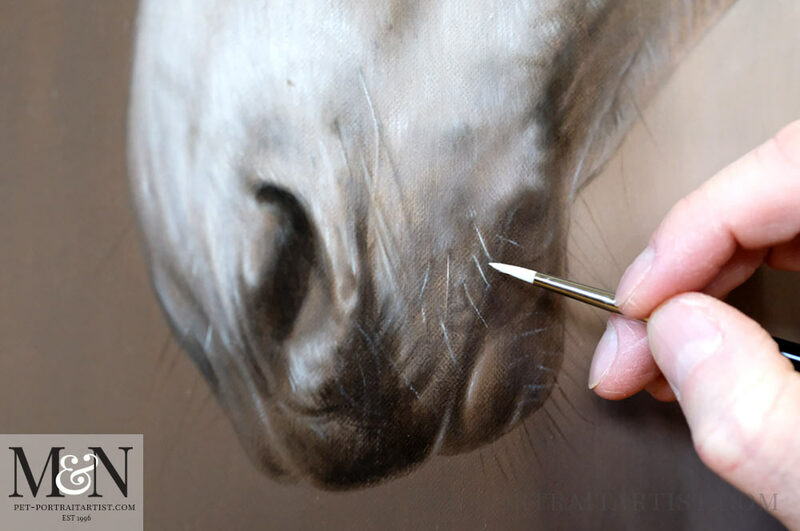 You can clearly see the delicate brush strokes and paint detail in the oil painting. We hope that you like it! Hannah emailed once the portrait had been presented to the recipient which you can read below too. I still haven’t seen her since her birthday but she sent me a text to say how overwhelmed she was by it and how it captured Elly perfectly. Close up of Elly’s gorgeous eye!